Ever dreamt of a job that takes you places? Metaphorically, and well, literally? I did too, and this is a short excerpt on how I landed an internship which did exactly that. It was the first week of January 2018 and I was freaking out. Everyone in my batch (which, by the way, consists of 84 brilliant minds) had secured an internship with the likes of Ferrero, Future Group, ICICI, Luxottica, Netcore, Vodafone and so many more. I had just applied to ONE company, Scuola di Robotica (School of Robotics) based out of Genoa, Italy but had had no response thus far. I had, by then, realized I wanted to explore working with entrepreneurially driven organizations. One morning as I entered my cozy campus, I found the head of Corporate Development Services waiting for me. He had good news. Fast forward to 2 months later, I was standing at the Genoa airport trying to reach my new boss. From here on, the journey was of cultural and intellectual enrichment. 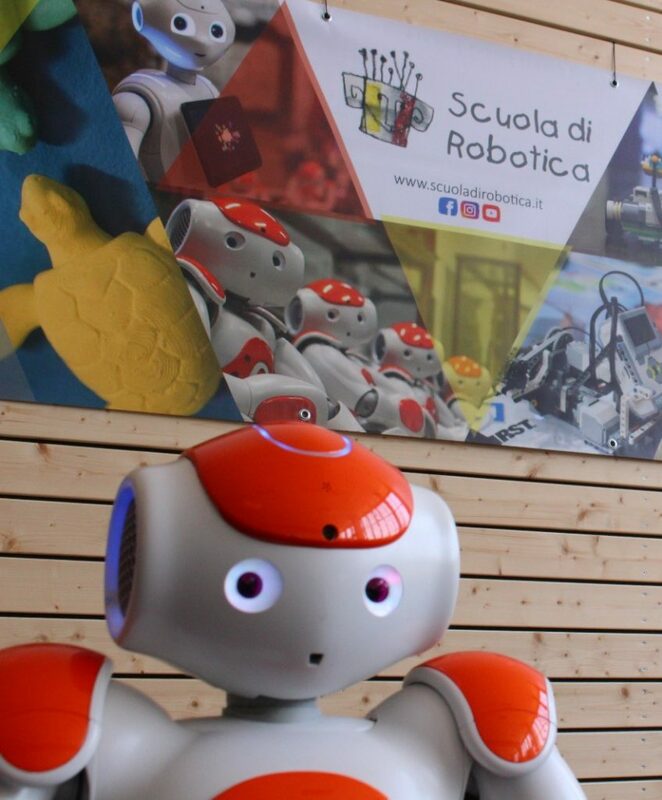 Physically, I traveled from Genoa to Udine to Bolzano for the NAO Challenge 2018 semi-finals, and mentally I traveled from social media marketing to understanding humanoids to block programming. The second month, a bit more intense was dedicated to strategizing and localizing for India, an already successful plastic recycling project ‘3D Ocean’, being a part of the organizing team of the NAO Challenge 2018 finale held in Bologna and NAO Challenge Berlin. The cultural learning, however, was massive. It’s the people who taught me the most. Apart from being wine and cheese enthusiasts and brilliant cooks, my international co-workers were creatively inclined and free-spirited. They understood fatigue was real, and despite working in such tech-heavy jobs, rejuvenated themselves throughout the day leading to maximum productivity. Another quality I learned was taking ownership of tasks assigned. This, I realized, is especially important in entrepreneurially driven organizations. Working in such a culturally diverse setting broadened my perspectives, leading me to appreciate espressos, and respect different points of view even when I was not in agreement with them. As my journey in Italy came to a temporary end, I found myself at the Mumbai airport getting a barrage of picture-texts of fresh out-of-the-oven pizzas claiming, incorrectly, that I would miss those more than my new Italian friends. As a fashion enthusiast, I would love to work with Aditya Birla Retail & Fashion Limited. I bring with me a fresh perspective and the ability to get things done as I am someone who values every responsibility handed to them. Being socially conscious is another important trait that I share with the AB Group, making me a good fit for this organization.